When do the rides start operating on the opening day? 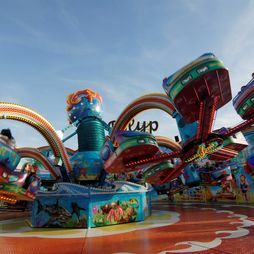 On the opening day all the rides, festival tents and stalls open at 11.00 am. 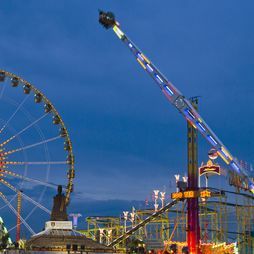 Is there an admission charge for the Stuttgarter Frühlingsfest? No, admission to the Cannstatter Volksfest is free of charge. One obviously has to pay for all rides, food and drink and services on the Wasen. Wednesday are always Family Days with special activities and reduced prices. Is there car parking close to the festival site? Limited car and coach parking is located in the immediate vicinity of the main entrance. It is signposted from all approach roads and stewards will direct you to available spaces. Parking is charged at 6 euro a day for cars and 12 euro for coaches. Right next to the main entrance to the Cannstatter Volksfest are disabled parking bays (on P 10) from where the festival site can be easily accessed. Are animals permitted on the festival site? No, it is not permitted to bring animals to the festival site. Guide dogs area allowed without any restrictions. Is there a lost property office on the Cannstatter Wasen? Yes, the lost property office is to be found in the white building belonging to the in.Stuttgart Veranstaltungsgesellschaft. Is there a left baggage point at the Volksfest? Yes, it is also to be found in the white office building belonging to the in.Stuttgart Veranstaltungsgesellschaft. A fee of 2 till 4 euro will be charged for each helmet or piece of baggage handed in. 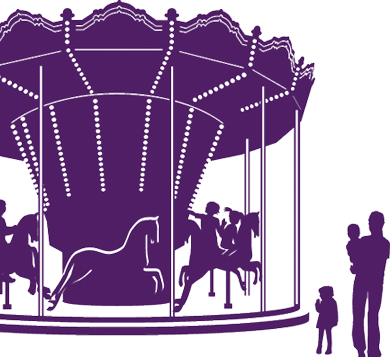 When are the names of the festival tent, ride and stall operators announced? 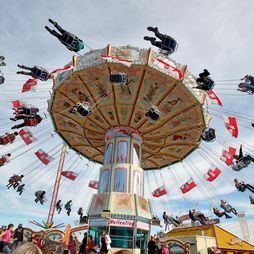 The names of the showmen and market traders for the current Stuttgarter Frühlingsfest are made public after the end of the tendering process about eight weeks before the start of the festival. All the contact details over and above the company name, the industry and the name of the operator is subject to the privacy laws. When will the 2018 Stuttgarter Frühlingsfest take place? From 21 April to 13 Mai 2018. What’s behind the in.Stuttgart Veranstaltungsgesellschaft mbH & Co. KG? The in.Stuttgart Veranstaltungsgesellschaft mbH & Co. KG unites events and event venues in the state capital of Stuttgart under one umbrella. From the Hanns Martin Schleyer Halle, the Porsche Arena, the Kultur- und Kongresszentrum Liederhalle to the Cannstatter Wasen, the events in the city centre, the open air stage in Killesberg and the Easy Ticket Service – they are all run by the same organisation. And it also obviously organises, amongst other things, the Cannstatter Volksfest and the Stuttgarter Frühlingsfest. Is it possible to smoke in the festival tents at the Stuttgarter Frühlingsfest? As provided by the state laws governing smoking in public place, smoking is allowed in the festival tents at the Stuttgarter Frühlingsfest. Where can I reserve seats in a festival tent? Reservations can only be made by contacting the festival tents directly. 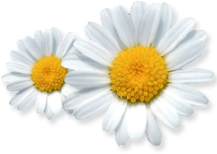 Click here for an overview of the contact details. When are children no longer permitted in the festival tents or remain on the festival site respectively? Children and young persons under the age of 16 may only enter the festival tents if accompanied by a legal guardian. Children under the age of 6 may not remain in the beer and wine tents after 8.00 pm even if they are accompanied by a legal guardian. Children under the age of 14 are only permitted to remain on the festival site after 8.00 pm if accompanied by a legal guardian. Young persons under the age of 16 may only remain on the festival site after 10.00 pm if accompanied by a legal guardian. 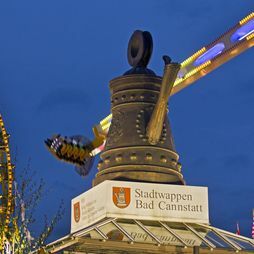 Which breweries serve beer at the Cannstatter Volksfest? May baby buggies be brought onto the festival site? Yes, buggies are permitted. Use is at your own risk.